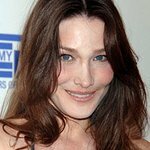 Carla Bruni-Sarkozy, the French First Lady and singer, will travel to Burkina Faso to visit Global Fund-supported Aids programs in Burkina Faso on what will be her first official trip as a Global Ambassador for the Protection of Mothers and Children against AIDS. According to the Joint United Nations Programme HIV/AIDS (UNAIDS), approximately 130,000 people are living with the disease in Burkina Faso, of which slightly less than half are women. Approximately 10,000 children in the country are estimated to be living with the HIV virus or AIDS. Burkina Faso managed to bring down HIV infections from 7.4% in 1997 to 2% in 2005 according to a UN report published in 2008. According to the 2008 UNAIDS Report on the Global AIDS Epidemic, the fight against AIDS is beginning to see strong success in some areas, such as providing treatment for those living with HIV, but little progress has been made in preventing transmission of HIV from mother to child and in assisting women to protect themselves from HIV infection. Carla Bruni-Sarkozy will travel to Burkina Faso in West Africa to visit the capital of Ouagadougou and meet mothers and their children infected with HIV and also to see the efforts made to prevent transmission from HIV positive mothers to their children. She will also meet health officials and charity workers and visit a centre that provides HIV testing and counseling where people can voluntarily go to and know their HIV status. She took up her role as a Global Ambassador for Protection of Mothers and Children Against AIDS on last year’s World AIDS Day, giving a voice on the Global Stage for the many mothers and children infected or affected by HIV/AIDS. As she announced her new role, she pledged to use her celebrity status to draw attention to the most vulnerable victims of AIDS. Women are more psychologically and socially vulnerable to infection, suffering from the epidemic’s negative effects. Women are the primary care givers in Africa and have seen their household and community burdens grow as a result of HIV, often compromising their own health and their ability to generate income. Children are also among the most vulnerable groups, putting them at risk physically, emotionally and economically. The French First Lady also has her own personal reasons for becoming an AIDS Campaigner – her own elder brother Virginio Bruni Tedeschi died in 2006 following a long battle with the illness. 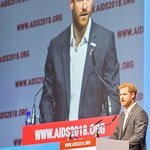 The Global Fund is supporting AIDS Programs around the world to reduce the burden of HIV/AIDS on mothers and children with activities like counseling and testing, prevention of mother-to-child transmission, providing orphans and vulnerable children with basic care and support and providing treatment to people in need of it. The advocacy of Carla Bruni-Sarkozy will lead to greater attention on the need to scale up such work world wide.